Imagine the best shortbread cookie ever, then use another to create a sandwich cookie with Dulce de Leche in the center – that’s the easiest explanation of the alfajore. The shortbread is not the sort one would have at tea with the Queen, instead the dough has a smooth silky texture that comes from a combination of cornstarch and wheat flour in the dough. Corn, being a crop of the Americas, is the first hint at the origins of this taste treat. 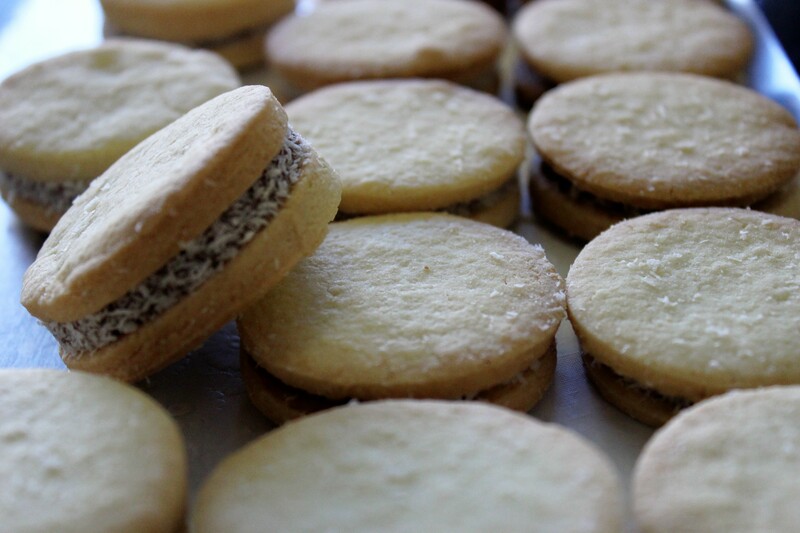 Alfajores are the quintessential street food across the Americas in places like Chile, Peru, Colombia and Mexico but their origins trace back to Argentina. The best Dulce de Leche comes from Argentina, but that’s another story. They make a great afternoon snack with a cup of coffee or tea! And now that Maureen O’Neill has made this Argentine treat a regular item at Asalt and Buttery there is no need to travel to South America – they’re right here in Caldwell!